Saturday 25th in Brixton was a great day out. 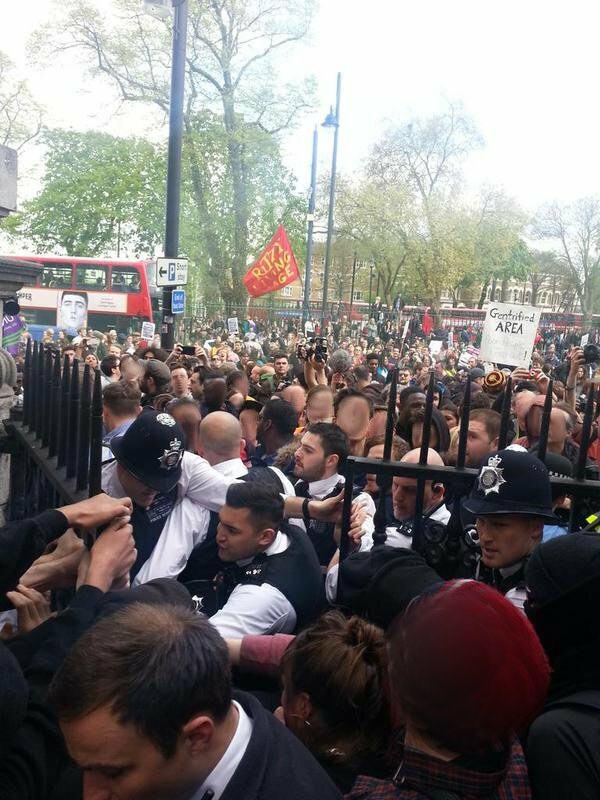 Thousands came together, took the streets, attacked a few symbols of state and corporate oppression, and had a full on party in the South London sunshine. It was certainly not a riot or “great insurrekshon” 1980s style, but it was much more than a tame picnic on the lawn. Lambeth Town Hall was invaded and briefly occupied, and a banner with “Respect Existence or Expect Resistance” hung from the balcony. 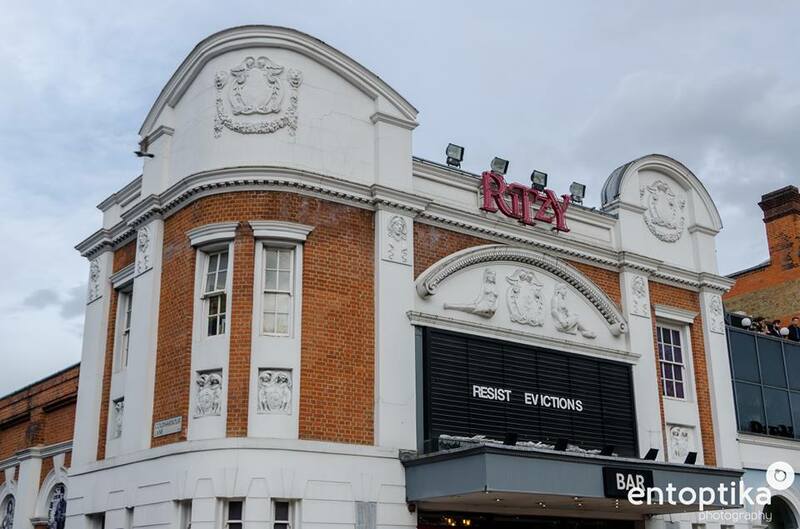 People clambered onto the roof of the Ritzy Cinema and changed the advert to read “Resist Evictions”. London Black Revs led some processions through the gentrifying “Brixton Village” market complex. Market traders held vigil-like protests at the arches that are being shut down by landlords Network Rail. A payday loan company was surrounded by an angry mob. 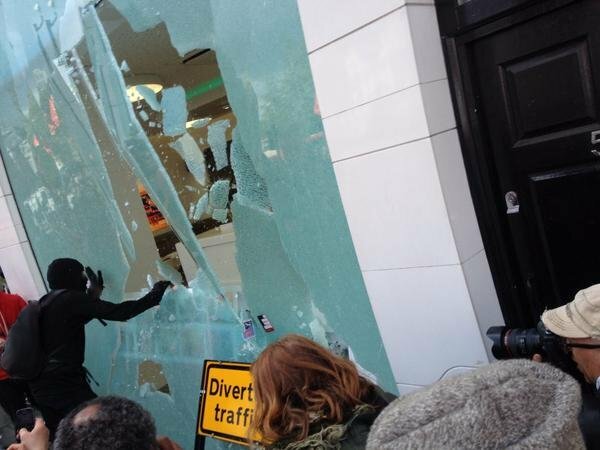 Universally hated yuppy estate agents Foxtons had half of its glass facade taken out to massive cheers from the crowd. “Yuppies Out” was writ big on the other half. Throughout the rest of the day a yellow line of a couple of dozen cops guarded the remaining shell of the shop. 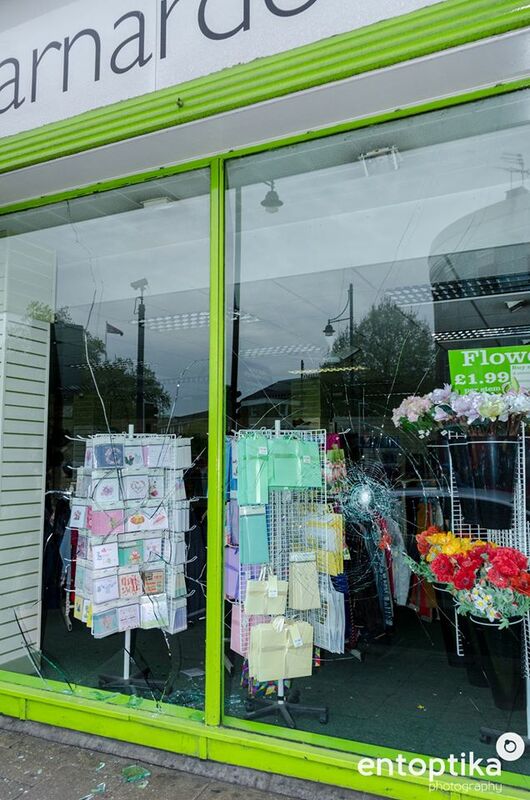 The jobcentre, the little police station annex in the market, and Barnardos charity shop (responsible for running the infamous Cedars prison for migrant families with children in partnership with G4S), also got windows smashed. 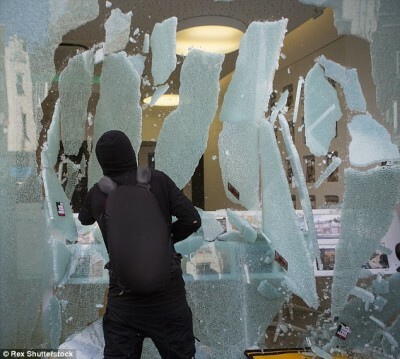 The main police station was stormed, with hand-to hand fighting in the lobby doorways before the filth repelled the crowd with pepper spray and batons. 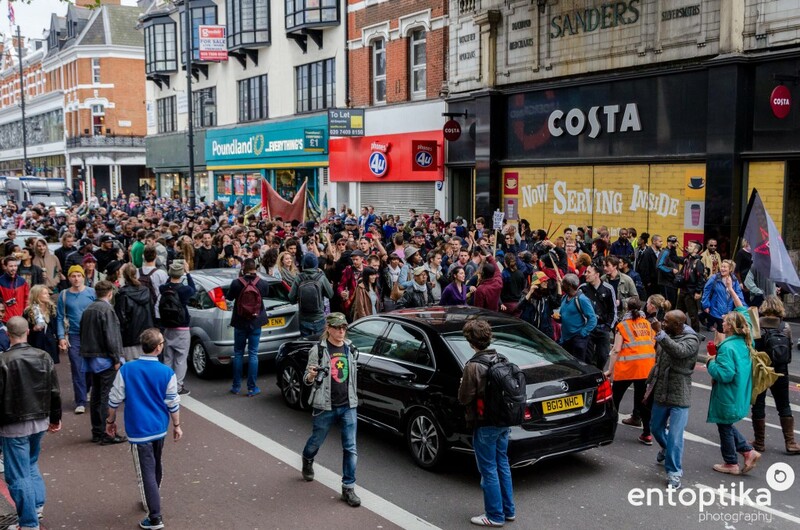 But the main highlight for us was just to be part of the raucous and joyful street party that took over the A23. 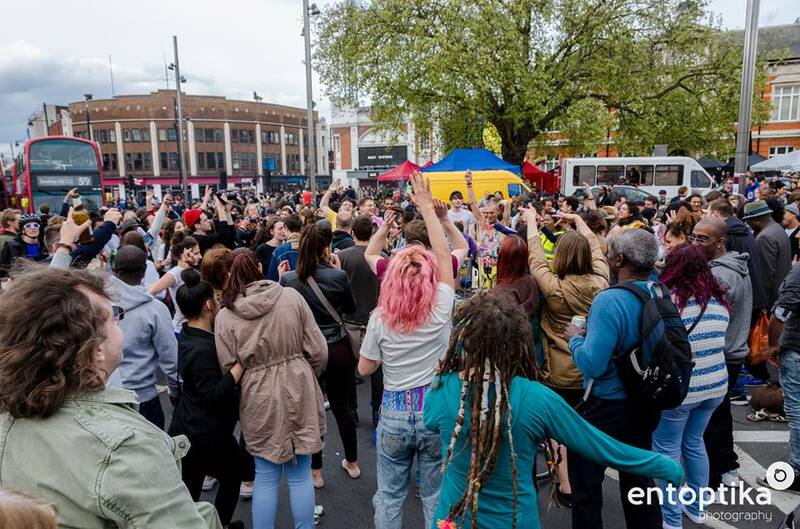 If “Reclaim Brixton” started out as an event of the usual concerned and worthy citizens, with a few agitators added to the mix, as it spilled into Brixton Road it grew and morphed into much more. Streams of people passing by were drawn to the liberated space and joined in, dancing, drinking, smoking, living it up, mocking the law and being uncontrollable. When the riot cops arrived to try and restore order, that just prompted the party to get moving up Brixton Road again. Things died down before nightfall when the sound system was seized and carted off by the cops, the rain coming to their aid. No great insurrection, but a day when it felt great to be alive. Some 5 or 6 people were arrested. 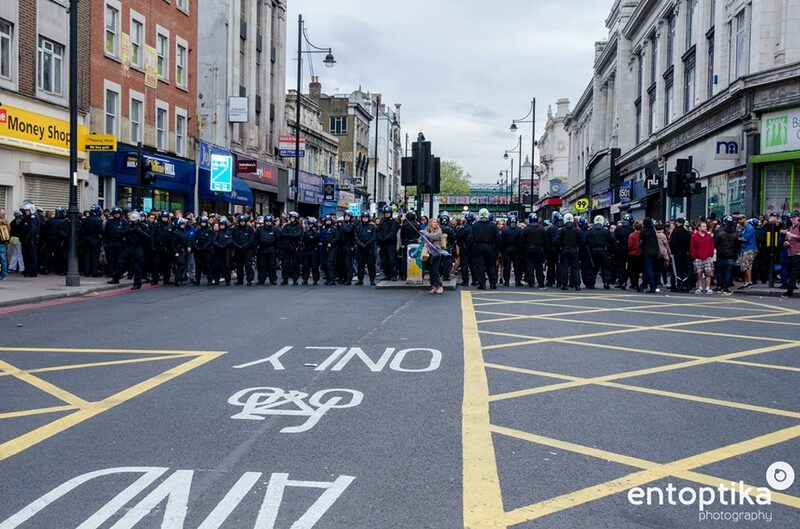 Today (Sunday) there was an impromptu solidarity demo for arrested comrades outside Brixton police station. All were released before 6PM, at least one person has been charged. Report and photos from Rabble Ldn on 26th April, 2015.